Cocaine is a crystalline tropane alkaloid that is obtained from the leaves of the coca plant, from which cocaine derives its name. It essentially functions as a stimulant and a topical anaesthetic, as well as reducing one’s appetite. Coca leaves had long been chewed by the indigenous peoples of South America, who claimed it gave them strength and energy. Initially Spanish and Portuguese settlers ignored the plant and even regarded the practise of chewing them satanic, yet eventually their effects as a stimulant and pain killer were verified and the drug was made legal. Numerous writers commented on the pacifying effects chewing coca leaves had on Amerindians. By the opening of the 20th century, cocaine was a common substance amongst developed nations and was widely used as a medical drug and continues to be popular as a recreational drug to this day, despite legal restrictions in its distribution and use. Cocaine can be ingested either by inhaling it up the nostrils, direct injection into the blood stream, or by smoking it (crack cocaine). 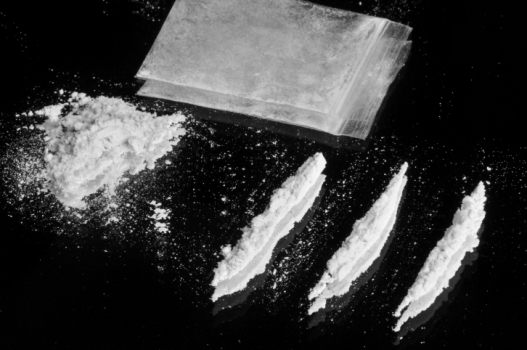 Cocaine essentially creates within the user a sensation of energy, alertness, contentment, sexual prowess and drive. To a lesser extent, it can also enhance athletic performance. However continued use can have severe side effects, such as reduced appetite, insomnia and lethargy, paranoia, respiratory failure increased chance of strokes and increased blood pressure, the last of which can be fatal. Deaths can occur even with first time or experimental use, as the drug essentially pushes the body’s respiratory, circulation and heating systems into overdrive. It is especially deadly when mixed with alcohol. Addictions can form quickly, with just one use of cocaine being enough to make one increasingly dependent on the drug. It achieves this by causing the brain’s behavioural reward-system to release more pleasure-inducing endomorphines when ingesting cocaine than by performing more natural survival acts, such as eating, drinking or procreation. Studies show that, even when pressed with great adversity or external dissuasion, a cocaine addict will still go to great lengths to obtain the drug. They will even choose it over food and water. Consequently breaking the addiction is a monumental challenge. The body has essentially been conditioned to regard the drug as an essential component of its biochemistry. Private cocaine rehab clinics and advisory services like www.rehab-recovery.co.uk have a wide range of programmes and treatments to help addicts kick this dangerous and life-threatening dependency.